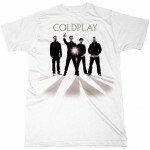 Coldplay is the most loved and appreciated band of all times. The British alternative rock band is very popular, and are considered to be one of the most played bands all across the globe. Formed in 1996, the band was originally called as Pectoralz, which was followed by the name Starfish. The band agreed to the name ‘Coldplay’ in the year 1998 before releasing their three EPs titled ‘Safety’ in 1998, ‘Brothers & Sisters’ as a single in 1999 and ‘The Blue Room’ in 1999. 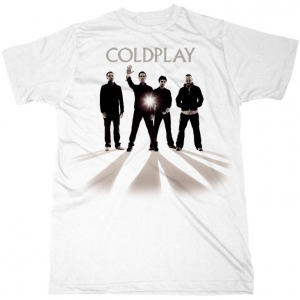 Coldplay shot to fame owing to the release of their single titled ‘Yellow’ in 2000. They became an instant hit with their debut release ‘Parachutes’, which earned them a worldwide recognition owing to their unique music. ‘Parachutes’ was also nominated for a Mercury Prize in the same year. Their second venture ‘A Rush of Blood to the Head’ was released in 2002 which won multiple awards. Their studio albums ‘X&Y’, ‘Viva la Vida’ and ‘Mylo Xyloto’ earned them unmatched commercial success and a series of awards including Grammy.